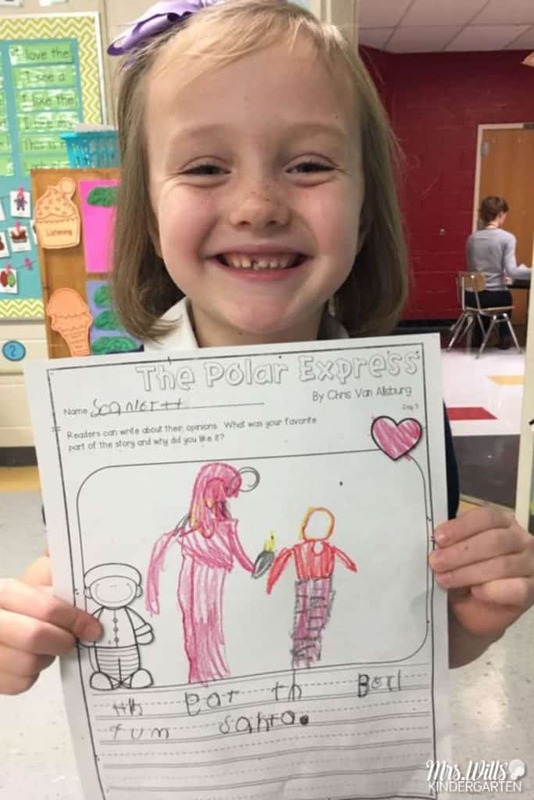 Polar Express Classroom Activities for kindergarten and first grade. 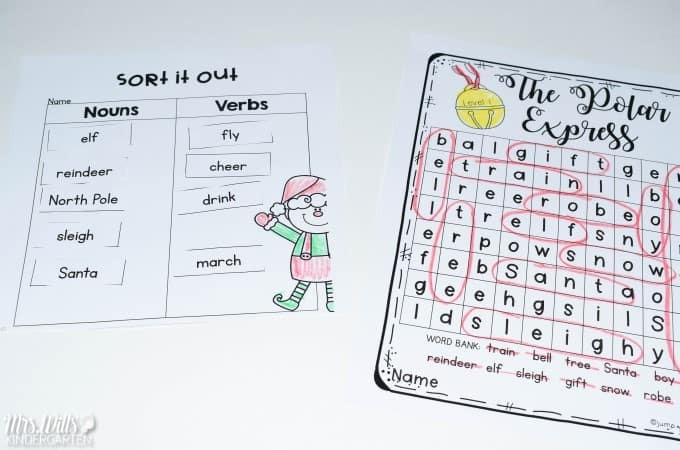 These fun lesson plans are perfect for Christmas time! 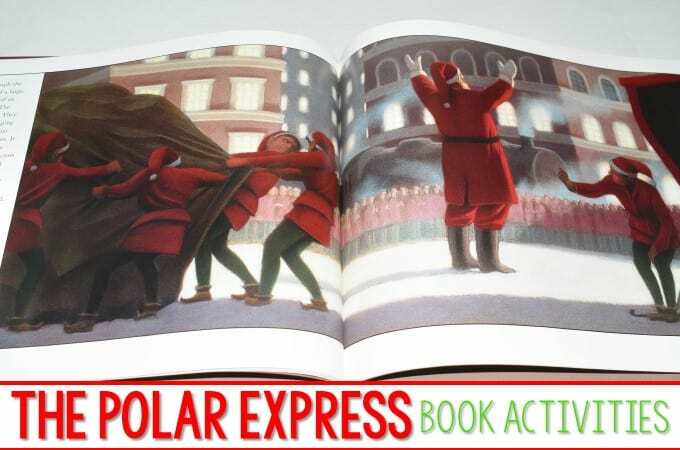 Just like our other Reading Comprehension/Close Reading plans, this Polar Express version is PACKED with reading comprehension activities! 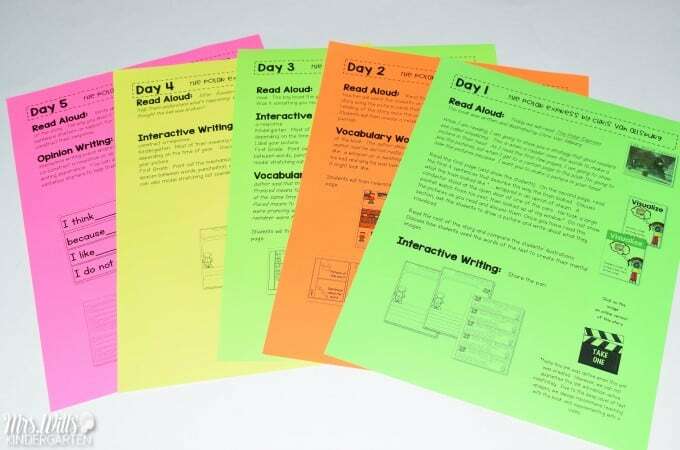 We have added questions to help guide your students towards deep comprehension! 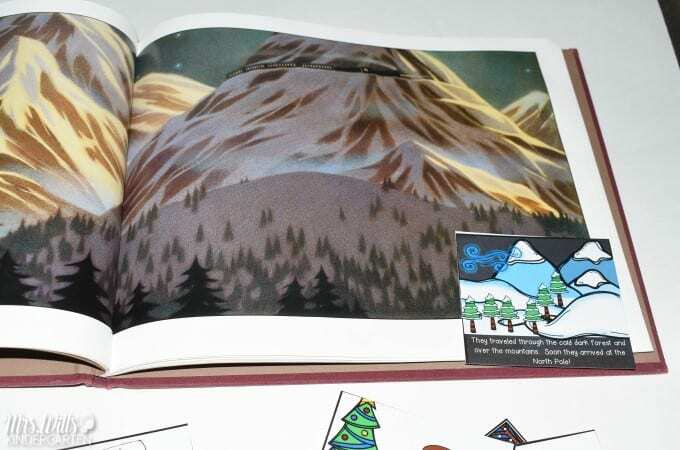 Students also work on retelling the book with text details! 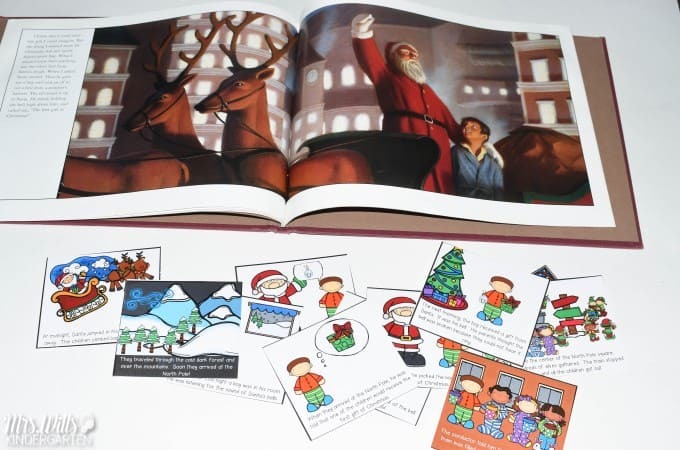 These retelling cards are a great support. 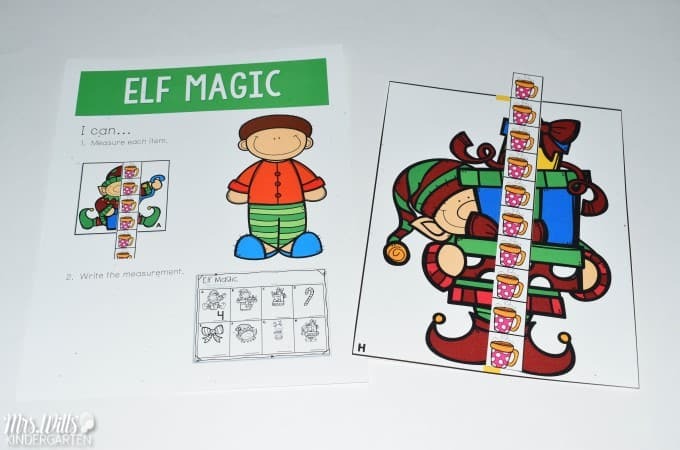 Students then complete this cute craft that will hold their retelling activity. There is also a grammar and sentence study where students identify the noun and verb within the sentence. Easy! Fun! Purposeful! DONE! These easy to follow daily plans mean that you can spend less time planning. Just print and TEACH! 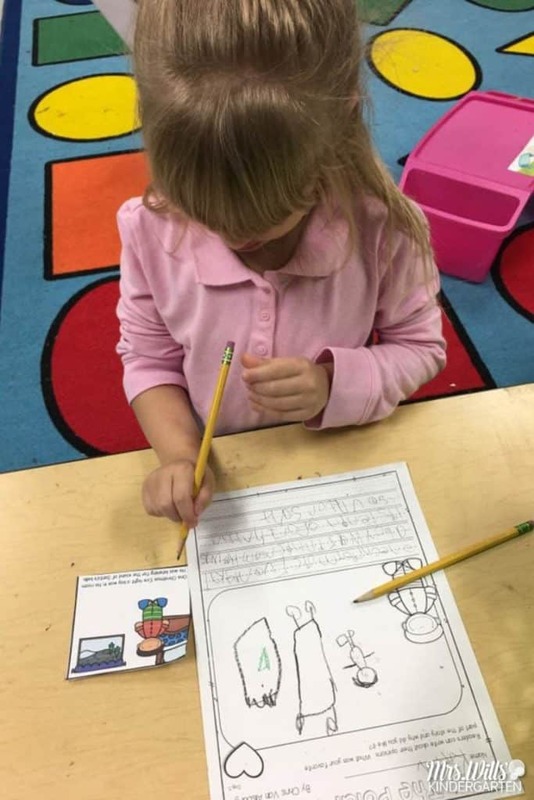 These sweet ladies are writing about their favorite part of the story! 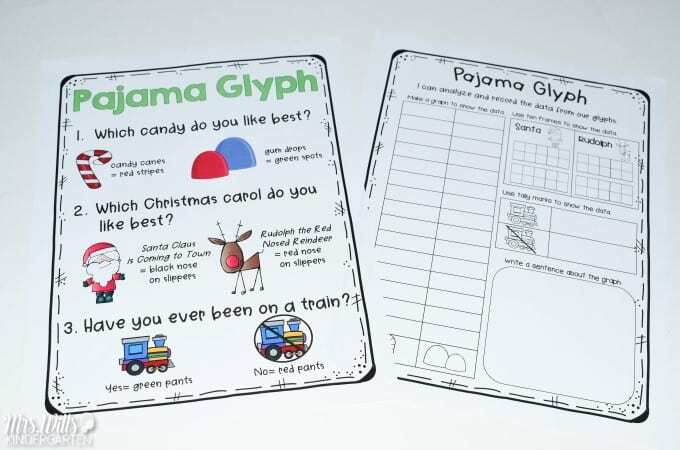 We also included a fun math glyph activity! 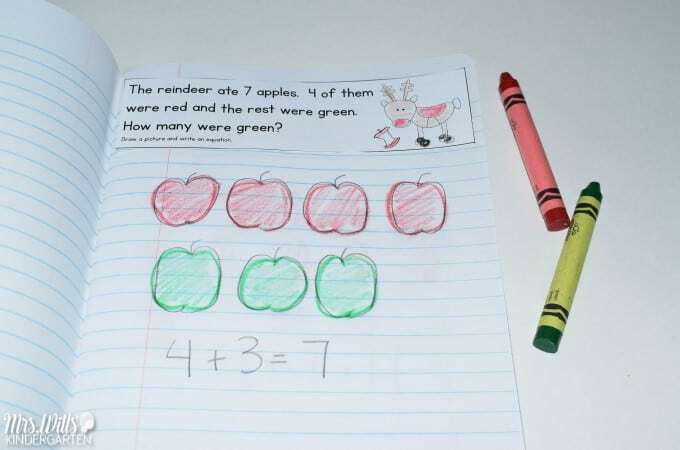 We love including math journal prompts whenever possible. This helps the student visualize word problems! 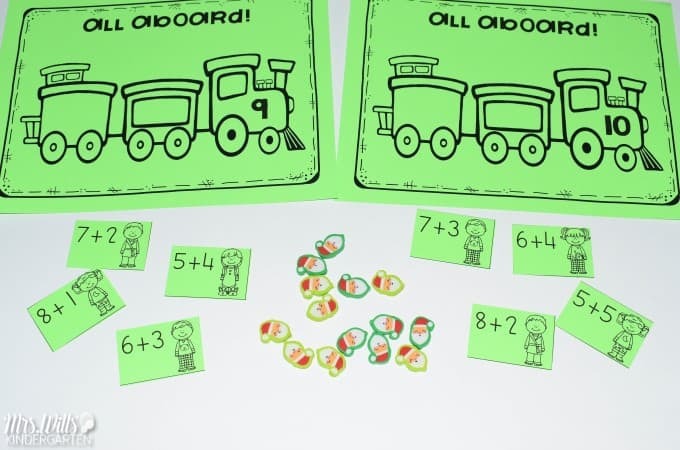 Adding theme based math and literacy centers make the week complete! Students work on sorting equations. I added seasonal erasers that I grabbed from Target! There are two literacy centers. 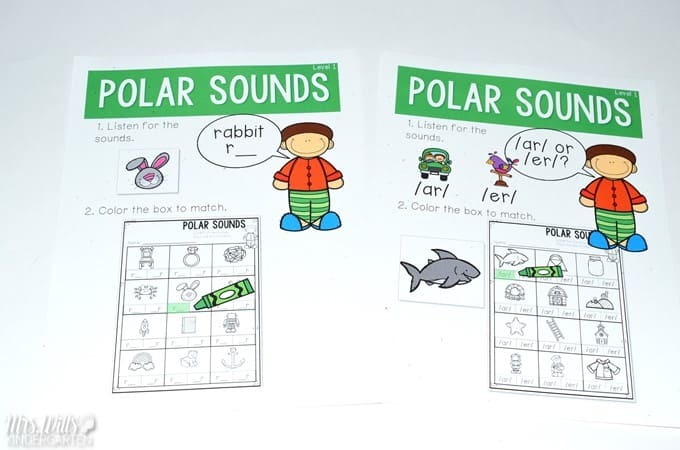 Beginning sounds and r controlled vowels. 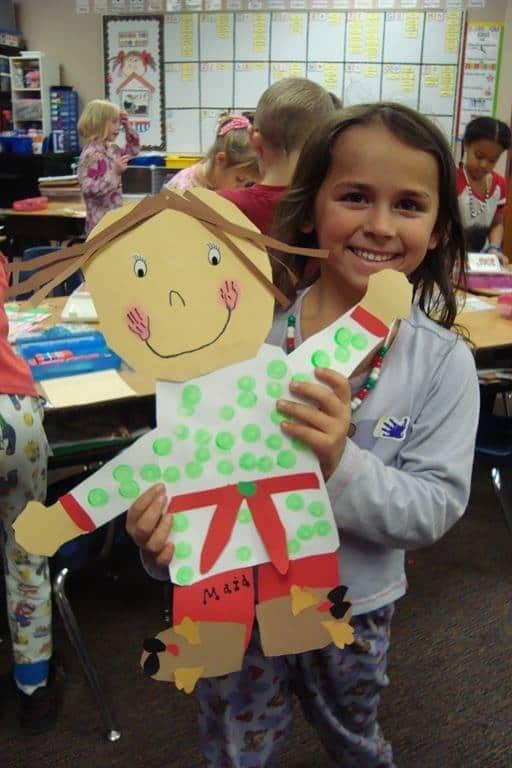 Having two levels of activities helps you differentiate for your classroom. Students also have a measurement math center. This activity also has two levels of difficulty. 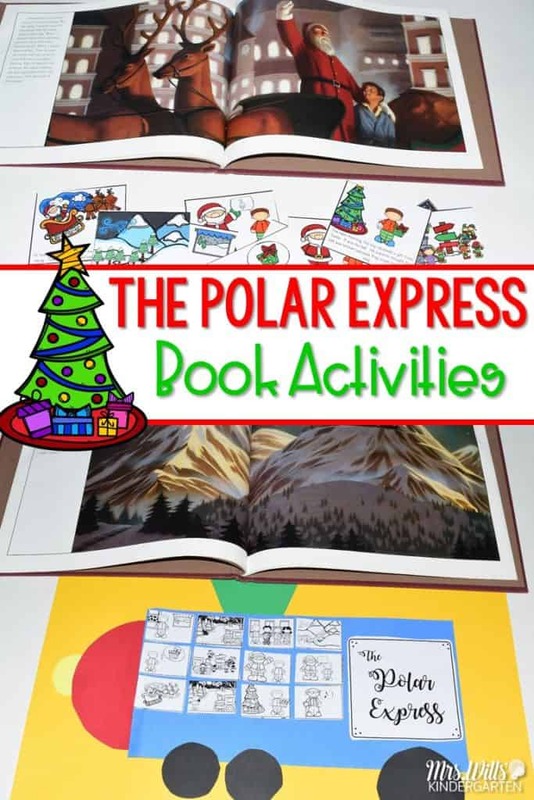 You can find all of these activities in our Polar Express Unit of Study! 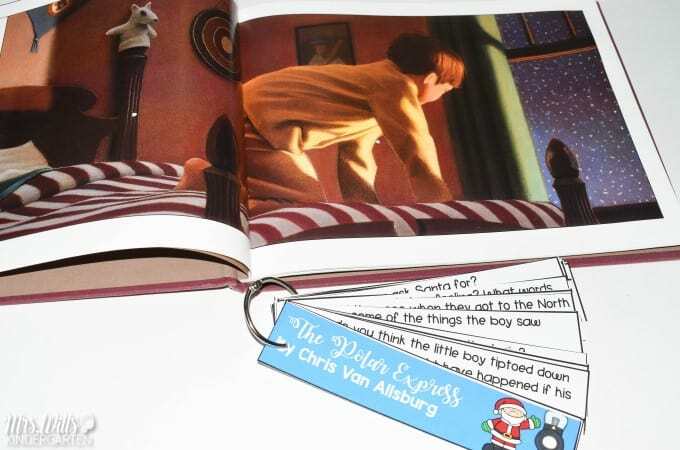 Read more about our Guiding Readers units by clicking HERE. Previous Post: « Are you ready for December? Ideas and Resources … plus a free file! 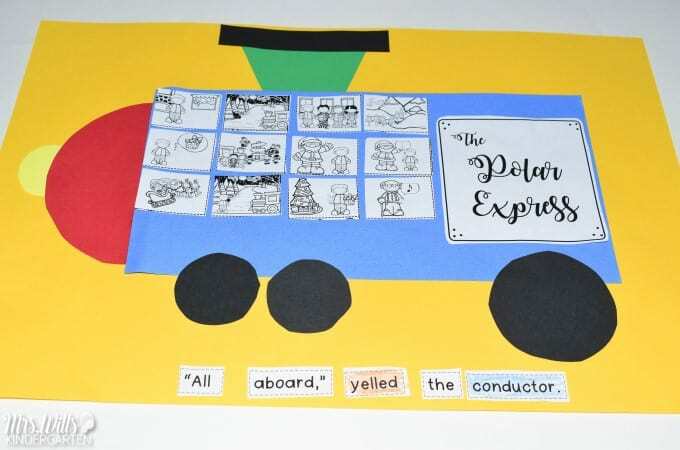 Hi, I went to Teachers Pay Teachers and couldn’t find your Polar Express unit. Can you send me the link? So strange… I checked the links and they worked for me. Darn technology! They are in Deanna Jump’s store so here you go!